Even so, this album’s first single signaled a sign that Church is willing to experiment and push sonic boundaries – nearly to the breaking point. Sometimes they work well, as with the country-funky “Cold One,” which goes from a Levon Helm-esque The Band-like thumper, to a momentary bluegrass instrumental, and then back again. It comes off like something Brad Paisley or Zac Brown might try, but is uncharted musical territory for Church. Then again, the spacey elements added to “Roller Coaster Ride,” just about ruin an otherwise descent song. These inclusions make it sound a little too much like AOR in the 70s; a variety that has obviously smitten so many (too many?) 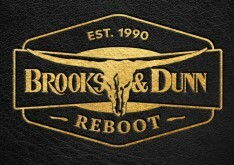 contemporary country artists. While Church proves he can crank up the volume with the best (or at least loudest) rock & rollers, he’s still a far more effective communicator whenever the instrumental volume is tamped down significantly and his conversational singing voice is pushed up high in the mix. One called “Like a Wrecking Ball,” for instance, strips the groove down to a point where there isn’t much left in the mix other than Church’s voice and a basic, soulful rhythm track. And because the guitars aren’t roaring to the forefront, a really nice Booker T. and The M.G’-like organ part is able to sneakily snake its way out of the speakers. 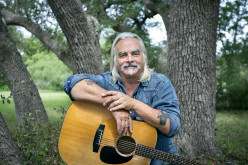 Church particularly plays to his strengths with the song “Talladega.” Although it includes many of the same stereotypical elements (race cars, alcohol) that have turned too many modern country songs into rhymed streams of now meaningless clichés, Church finds a way to use these same retreaded elements as necessary songwriting building blocks, albeit without ever pandering to his audience. It’s a road song on the surface, yet also filled with vivid memories. And much like one of his breakthrough hits, “Springsteen,” it expresses the powerful emotional pull many of our favorite memories can exert over our overall worldview. 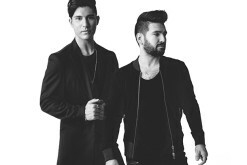 Memories are primary driving forces in Church’s writing approach, and this obsession comes into play again during “Broke Record.” With a track that might be simplistically categorized as a country take on what Selena Gomez recently sang about with “Love You like a Love Song,” Church compares thoughts about an attractive girl with the addictive hook of a favorite record. Toward the end of the album, Church has placed a trio of songs centered upon evil. He may sound like a wannabe rocker with “The Outsiders,” but he writes like a preacher at a rock record burning party during “That’s Damn Rock & Roll,” which details the trials, tribulations and temptations associated with the rock & roll lifestyle. Then with “Dark Side,” Church faces the evil man under his own skin with a healthy fear of what that hidden bad man can do, if left to his own devices. Lastly, “Devil, Devil (Prelude: Princess of Darkness)” takes on Nashville’s unique boulevards of broken dreams, with a Steve Earle-like righteous anger. The devil may have gone down to Georgia to steal one soul, but he’s always wreaked a whole lot of havoc in Music City and racked up uncountable casualties. 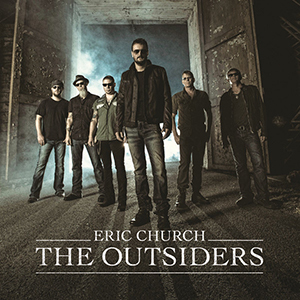 Eric Church might aligned himself with the outsiders of the world on this album’s overly metallic title track, but he stands out most admirably whenever he writes and sings personable and emotionally gripping country songs, which – I’m happy to say – is exactly what he does most of the time with this stellar new effort. The Outsiders is best appreciated with a studied examination of its insides.